Next to the Veloster sports coupe, the South Korean company has also brought the Curb crossover concept tot he 2011 Detroit Auto Show. This concept is a preview version for a future model that they say will compete with models like the Nissan Juke. Hyundai expects the production model to debut in the next two to three years. "We wanted the Curb to be urban tough without looking like a Brink’s truck," said Jason Brown, Hyundai designer. "City driving was going to be its forte, not crossing the Rubicon trail, but we wanted it to have urban armor for daily driving on city streets. It needed to empower its passengers in this setting." 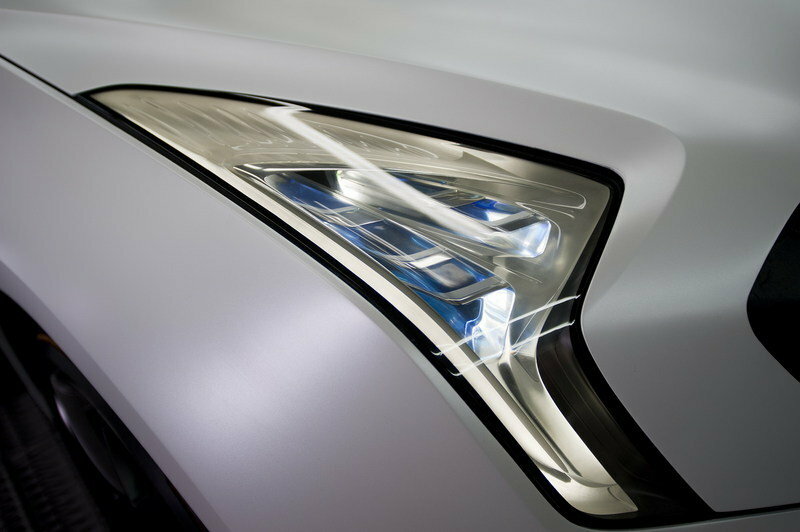 The Hyundai Curb crossover concept is defined by Hyundai’s "Fluidic Sculpture" design language, a design language created to attract younger buyers. Next to the impressive exterior look, the new Curb Concept is also offered with advanced Blue Link and connectivity features against impact and shock. Hit the jump to read more about Hyundai’s latest Curb concept. Like with the Veloster coupe, the Curb’s exterior design has also been inspired by a sports motorcycle. 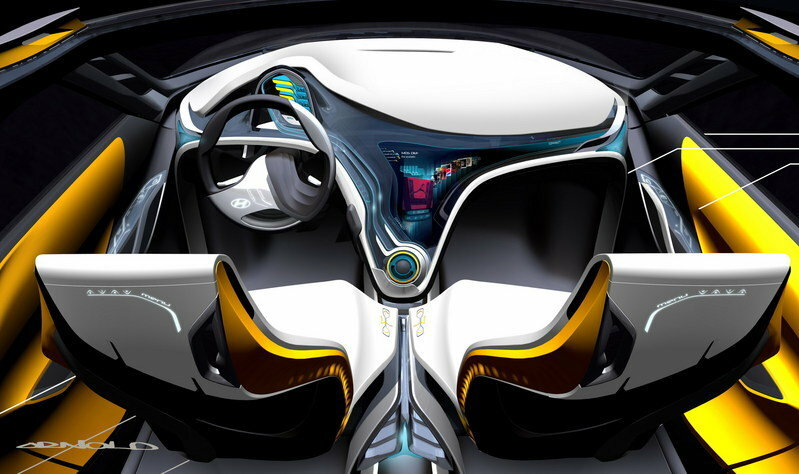 The concept front features glass that spills into the hood and wraps around the cowl, covering the A pillars and resembling a motorcycle helmet. 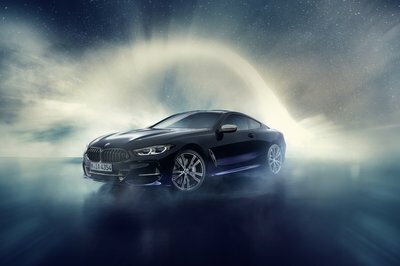 The profile is dominated by a boomerang trajectory body side line, while the headlamps and taillamps create the illusion that they are connected to the engine compartment or interior. And to finish with the same aggressive look, the Curb sits on 22-inch five spoke wheels wrapped in Michelin tires with a custom saffron colored tread pattern to match the interior. The interior gets a large acrylic screen with multiple zones that allow information to be passed between passengers all via a touchscreen. Facilitating this transport of information are the large monitors featured on the headrests. 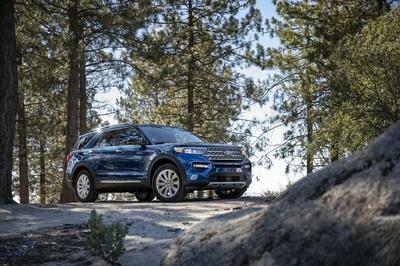 The list of technologies includes: Heads Up Display (HUD) provided by Continental with navigation, Pandora internet, and, of course, the Blue Link Location Sharing feature that will send Curb’s location to select members of social networking sites. 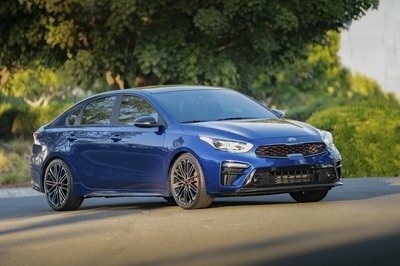 The Curb is powered by a turbocharged 1.6-liter Gasoline Direct Injection (GDI) four-cylinder engine that delivers 175 HP and 169 lb-ft of torque. The engine is mated to a Direct Shift Gearbox (DSG) transmission and Idle Stop and Go (ISG) technology. Do not expect to see a production version of the Hyundai Curb until 2013. Prices should start at under 20K. 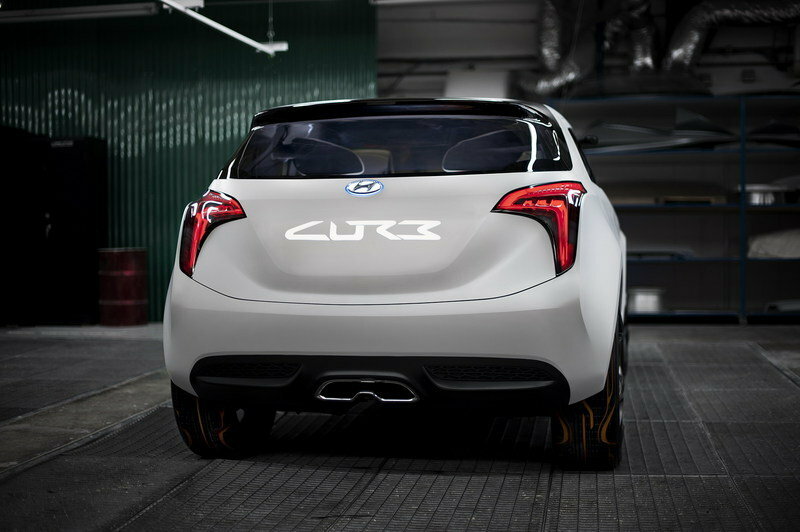 When put into production, the Hyundai Curb will take on models like the Nissan Juke and the Kia Soul. The Nissan Juke is powered by a choice of three engines: one diesel and two 1.6 Liter versions. Horsepower ranges from 110hp to 190hp, so most of the choices are outrun by the Curb. We don;t like the look of either car, but if we had to choose one, we’d pick the Nissan Juke only because it doesn;t make us want to say, "Beam me up, Scotty!" like the Curb does. The Kia Soul is powered by a 126 hp diesel or gasoline engine. The Hyundai Curb laughs at this power output, but we still get a chuckle out of the Curb’s design so we may even take the Hamster-toting Soul over the Curb. Yep, us speed-lovers dislike the design that much. This curb was very nice, from the truck design too many urban looks. Wow Hyundai built and improve the old one, now I will wait for the next concept as a series evolution of this car. Surely, Hyundai really doesn’t have any plan to put it on the market. Anyway, I have to agree that the futuristic interior of this Curb is so awesome on its technology even on its unique platform. Wow I thought I was in tron, haha for sure this baby won’t make it to the production; it’s a way too advance to us to have one. Even though I absolutely love to see this one on the market, they will surely won’t make it because on the fact that this vehicle is too futuristic to use nowadays. However, I must say that I am really impressed on it. I really love the looks of this curb it looks so unique and already so striking on that platform, and I notice that it had some futuristic touch, which impressed me a lot, hope to see this one soon. Curb was oozing with angst and aggressiveness on its platform and other body detailing, but I must say that I’m not so impressed with this one because I found it over in its design. Nice pop-up roof rack and touchpad-operated clamshell hatch but very poor with regards to the Curb could get more than 30 mpg in the city and top 40 on the highway. Hmm, if Hyundai is indeed planning on venturing into the SUV market, this one would definitely be a rather good start. They just need to work out a few more details here. This concept car deserved to in the lineup for future production. Aesthetically, the car is extremely awesome! I can’t wait to see the debut of this car. Chevy would one of the iconic car that produce one of the best production . I think a little modification on the detailing it would be great. For those who don’t know, Crossover is the other name for SUV. Anyway, I think this car look so futuristic! i love the styling on the interior! And those headlights they are the coolest when tag along with LED lights! 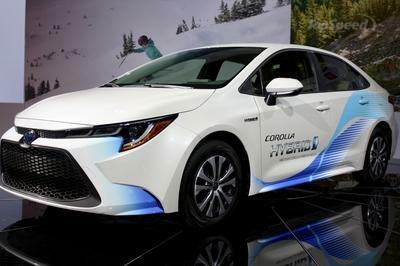 BTW, maybe this car would be fuel efficient that’s why it can carry 1.6 liter of gas only. The only thing that I can say: What the heck is that. Well, it isn’t really, but it also doesn’t feel particularly awesome to me. But the interior looks nice though. The curb power of its Hyundai 2011 is powered by a turbocharged four cylinder engine that delivers a high torque,it make s the transmission faster and very smooth way of driving. Its seems that Hyundai and KIA is starting to make sexier car. Their secret is the design.Is this will be competitor of the Juke? I do see a difference between the Juke though. wow!I love the interior design,It looks that you will surely enjoy the benefits that will bring this auto,It allows the users to be more inspire while driving. We wanted the Curb to be urban tough without looking like a Brink’s truck," said Jason Brown, Hyundai designer. The Hyundai Curb crossover concept is defined by Hyundai’s "Fluidic Sculpture" design language, a design language created to attract younger buyers. wow with this car choosing a sub compact car will be difficult. it looks like its competing with Honda Jazz, Mazda2, Hyundai Gets, Ford Fiesta and Suzuki Swift. but with all those hatches, this one is the most hottest. I like the looks and design of it, but just a thought is this vehicle using a CRDi engine? well for me it should be. because CRDI is more powerful, emits lesser carbon, and more speed with a low displacement.